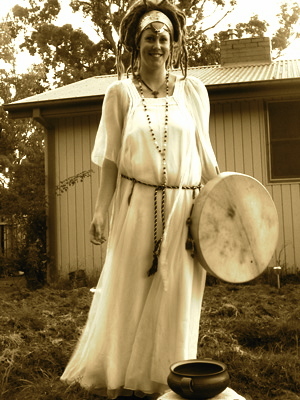 In 2008 I ran a 13-month long course called the Priestess Path. 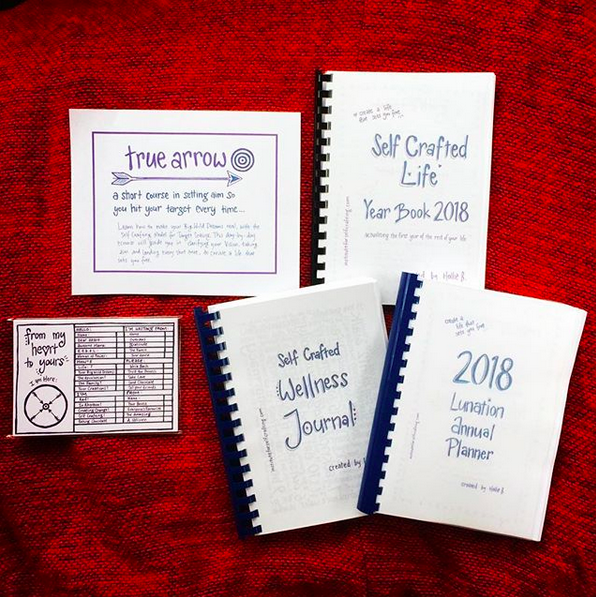 It was offered from my shop to a select group of women customers who were looking to deepen their connection with the Great Mama. That’s a photo of me below at the very first session all the way back then! Whoa, it was epic! I learned a lot about my self, about how I taught and how different women like to be taught. I also learned a lot about my content. They say when you can teach what you know, that is when you really know it. This was definitely true for me with the Priestess Path work (and there was heaps of it : 13 months of meeting almost every week!) and much of this I really haven’t been ready to share again until recently. I could give you a million reasons why I wasn’t ready. Mostly, it came down to be utterly drained by the end of the 13 months. I mean, it was crazy the amount of ground we covered together, those women and I, and all while I was going through some of the biggest life challenges I ever have met. But time heals all right? Time also gives us so much more depth of understanding. Who is the same person as they were seven years ago? Certainly not I! Much of what I’m sharing now at the Institute, is certainly based on that work that was cemented in the Priestess Path, but it has developed further than I ever could have known back then : it’s deeper, more authentic, and certainly has a much more robust flavour! 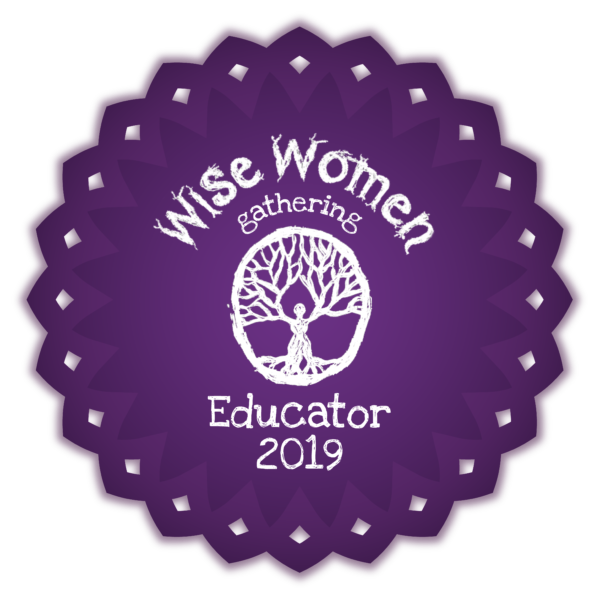 So today I have something to share with you that was first shared in the Priestess Path, all the way back in 2007, with a bunch of Canberra Women going about their bizo as Witches and Priestesses : in other words, shaman women on their path to Individual Truth. If you came here from one of the workbooks, you were probably expecting a video – because I said that right? But then I got here and I changed my mind, because I realised that there really isn’t much I can do for you in a video, but I certainly can show it to you in an article – and with photos! 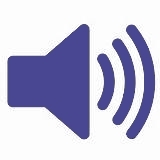 Of course, there’s an audio version of this article here if you’re into that, or just read on Lady! The Goddess Stones are a set of crystal stones that represent the Five Faces of Goddess, the Spiral of the Sabbats and the Elements of Life (you will find mega detailed information about all that stuff in the Units in Turtle Labyrinth). Together, they represent the path of a Priestess, in knowing herSelf, her environment and her connection to All That Is. Oracling (now I’ve made it into a verb – a doing word yo!) has many purposes, including coming up with answers, finding direction, and deepening understanding about the Great Mystery. When we speak as Oracle we are calling the direct line to the Great Mystery – totally like a phone line. Therefore, we become the direct line and what the Great Mystery has to say – we translate. This is a very different concept than the churchy idea that says we must tell our messages to a Divine Member of some special order, so that (he) can pass our messages onto God and then maybe if we’re lucky come back with an answer – that will probable involve some form of begging for forgiveness right? Not here R.E.b.E.L. Woman! No-no dear shamanic journeying woman : there ain’t nobody between You and the great Divine in this world. YOU ARE THE ORACLE. 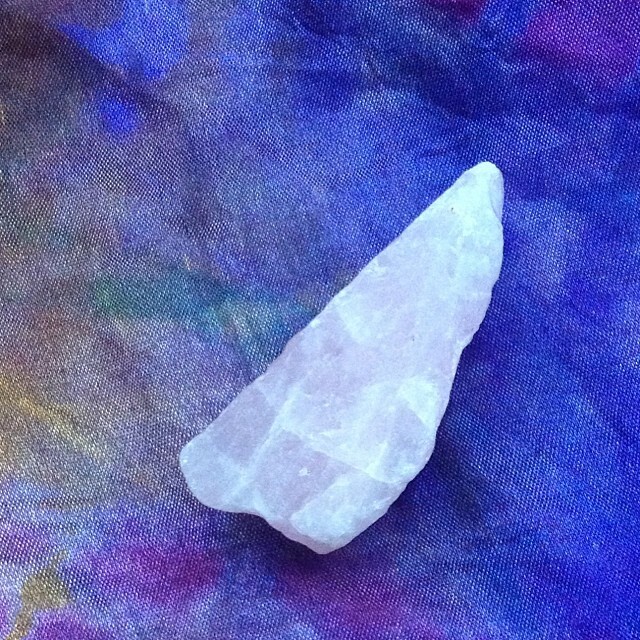 Now anyone can put together their own collection of Stone People (they are people because they hold a very living type of energy that we can converse with in the non-reality planes of existence – the shamanic realms), and get Oracling. The Stones in my set do draw on the energies of the Five Faces of Goddess, the Spiral of the Sabbats, and the Elements of Life and so I understand each Stone Person, not only in the context of their given Medicine known for that stone, but also in the essence of that which it represents in the shamanic world view which you are learning about at the Institute. If you wish to put together your own set, you will find that some stones in my set are more difficult to find than others. I suggest searching everywhere from eBay to local new age stores to lapidary fairs (you know those little stone and jewellery shows with the old fossickers – they find some really unique pieces) to swap meets to antique shops to… you get the idea. Search everywhere and only purchase Stone People who you feel like you can connect to. That doesn’t have to mean like you pick up every piece and your hand gets immediately hot or it feels like the stone is going to jump right out of your hand because of the intense energy. I mean, some might feel like that but that’s not the whole story. Let’s be honest, these are small stones you are working with, and for the most part they will have been cut down or chipped off from a larger piece. 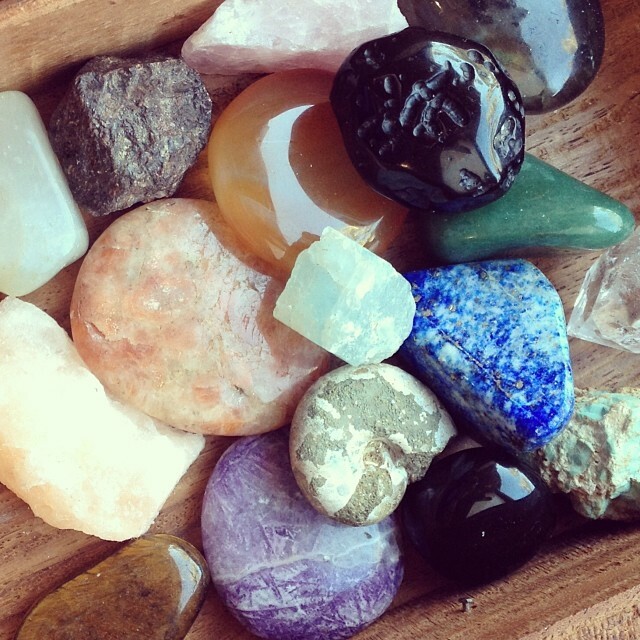 There is a whole ethical conversation we can have about using crystals that have been dug from the earth and sold at a monetary gain. The energy of a fragmented piece of rock is very different to the energy of when it was intact. So tread carefully, follow your heart and be sure that you are happy with the ethics of your stone purchasing. You might even find that Stone Work is not for you, and that’s cool – there’s a tonne of other tools you can use for Oracling. These are the Stone People for the Five Faces of Goddess : The Daughter, Enchantress, Queen, Wise Woman and Initiatrix. These are the Stone People for the Spiral of the Sabbats : the eight points of the year where we celebrate and connect to the seasons so as to understand the ebb and flow of the year and all that lives. These are the Stone People that represent the Elements of Life : Air, Fire, Water, Earth. 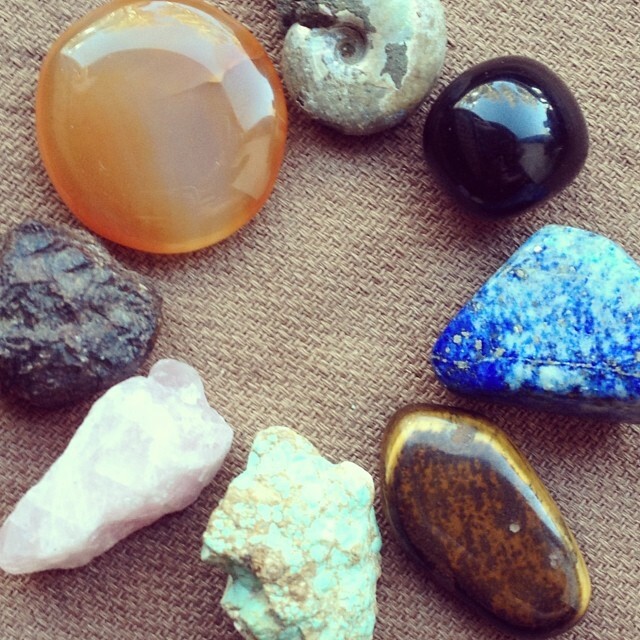 I use these stones in my readings for other people and of course in my continued communications with the Divine in my own Work. How I use them personally can differ from day to day. 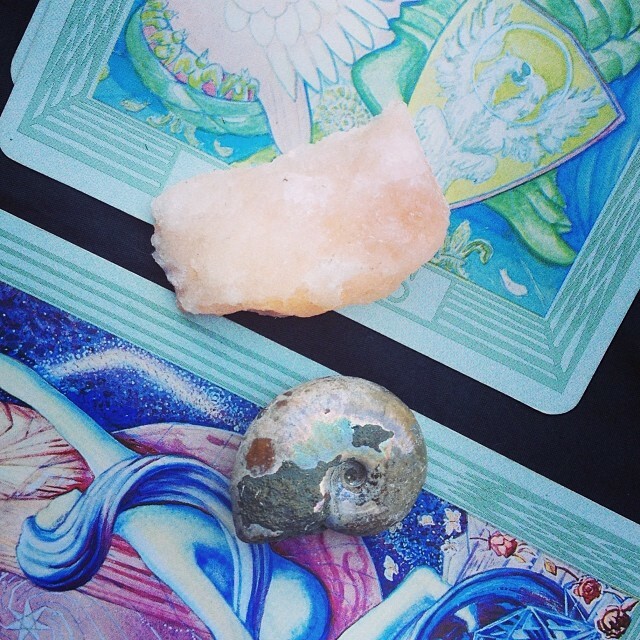 I might pull one for guidance, place one on an altar to draw on it’s essence, lay them out in a particular pattern for some energetic purpose… In a Reading though, it’s often about clarifying and deepening a concept already shown in the cards. So I lay the cards, talk about what I’m seeing, and then layer the information with more depth, deepening on what the client is wanting. I use one layout when I read cards and Do Oracling. 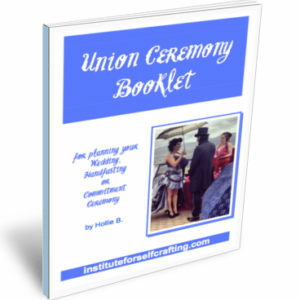 That is detailed in Unit 11 where I share with you all of my tips and tricks for successfully Oracling direct from the Source. 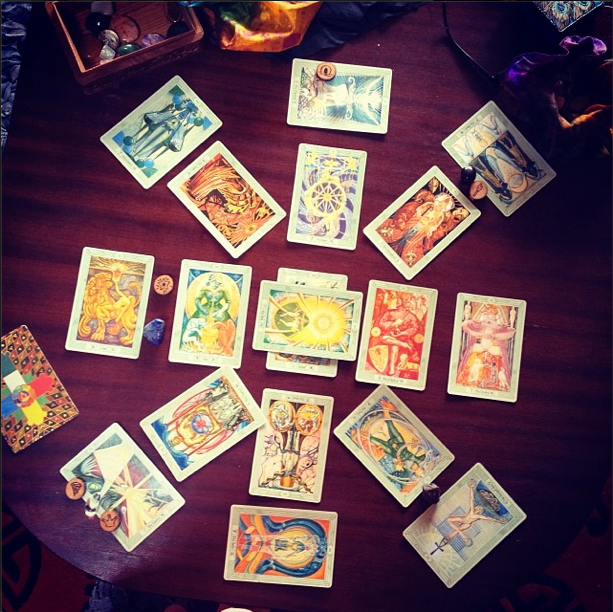 This layout first taught to me by my Tarot teacher Geir proves still to be the most thorough and indepth of all, and as I have found by using more than one set of tools I’m able to find deeper and deeper layers as the process unfolds. (I also talk more about layouts and the spreads and why I don’t think it’s a good idea to use different layouts for Readings in Unit 11 as well). 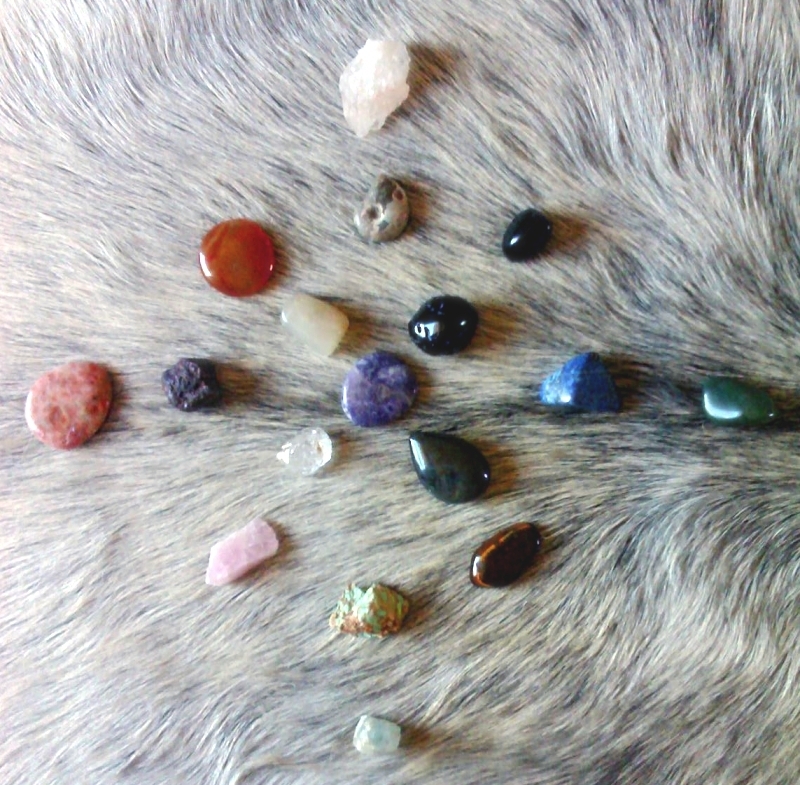 Now herein, I’m going to give you a very quick overview of the Medicine of the Goddess Stones and why they have been chosen to represent the particular story. Prescribed Medicine of any living thing is always a bit iffy really. That’s because the energy of an individual comes down to a whole lot of different circumstances : just because I’m a woman and you’re a woman does not make us exactly the same. We share traits, but then we have this whole part of us that has been inspired by circumstances, environment and the community we live in. It’s the same for Stone People, so that if you’re reading about Stone Medicine in a book, you might find that the information doesn’t actually match up to the stone you’re feeling in your hand. That’s cool. Let your Inner Knowing be your guide, more than the words of anyone else – including me! You know the drill with me right? I’m gonna tell you a bit about what works for me, and if you like it you’ll use it. And if you like some of it but other bits don’t work for you, you’ll adapt it. And if you think it’s all crazay talk, then you’ll shut the article off and go play on Facebook for a while! Cool? Please just remember that if you are sharing this information, you need to reference the source – that means send your friends back to the Institute and don’t forget where you’ve come from. 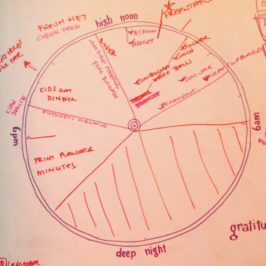 It’s good manners to act as witness to your learning by finishing the Feedback Gratitude Loop and sending thanks to that from which you have received the information. Okay, now that that boundary setting bizo is complete, let’s get into them! My Moonstone was found in a little jeweller and stone shop and is actually a yellow moonstone which is a higher grade quality than the common Rainbow Moonstone often found in New Age stores. 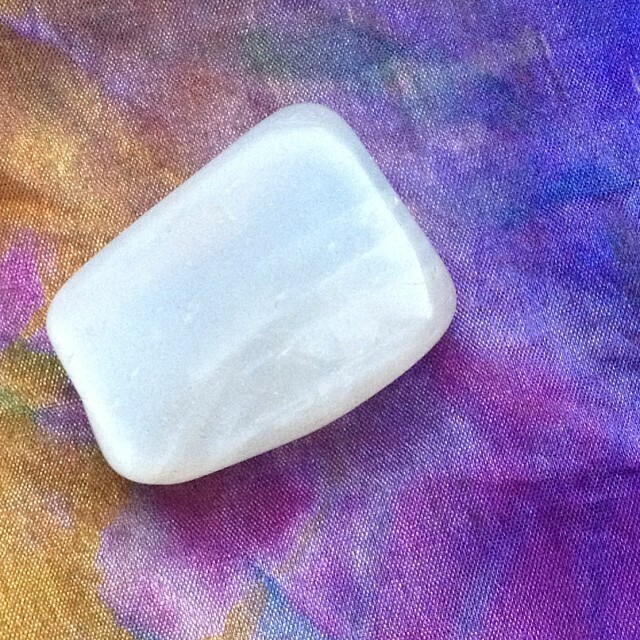 What type of moonstone you use will depend on the energies you connect to with it. Follow your Inner Knowing. The Enchantress is one of the Five Faces of Goddess, archetypes for the feminine journey. She is unlimited and inspired. She is sensual and strong. 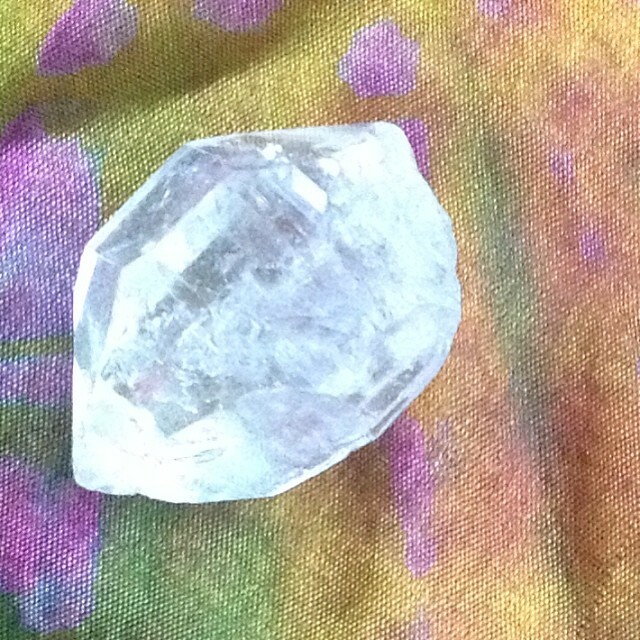 The Herkimer Diamond is the reflection of Her and some of it’s Medicine includes : ascension, open the heart and mind, clairvoyancy, spiritual feeling/understanding, intuition, self-trust…. My Herkimer Diamond was one of a bag I purchased from a fossicker when I had my shop in 2006-2008, and I sold the rest to customers back then. I have seen other Herkimer Diamonds in stores and books that look different and don’t have the clarity that this group has. They are often difficult to find and can be expensive. Shop around and go with what feels right. The Queen is one of the Five Faces of Goddess, archetypes for the feminine journey. She is responsible and reliable. She has met Her shadow and found the light within. The Labradorite is the reflection of Her and some of it’s Medicine includes : will power, responsibility, shadow work, perseverance, shift dark into light…. 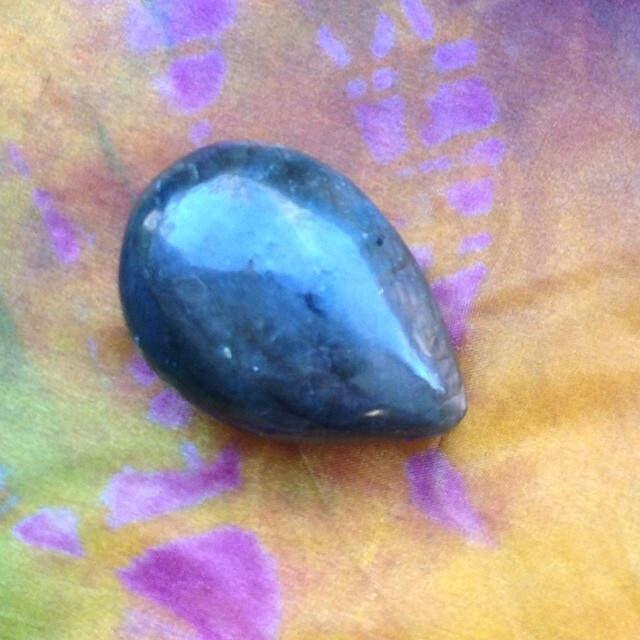 My Labradorite was purchased from a jewellery and stone store in 2005. It is highly polished so as to look a bit like a mirror, also part of the Queen Work. Labradorite is one of my favourite stones and I have loads of it around my place, including unpolished pieces. 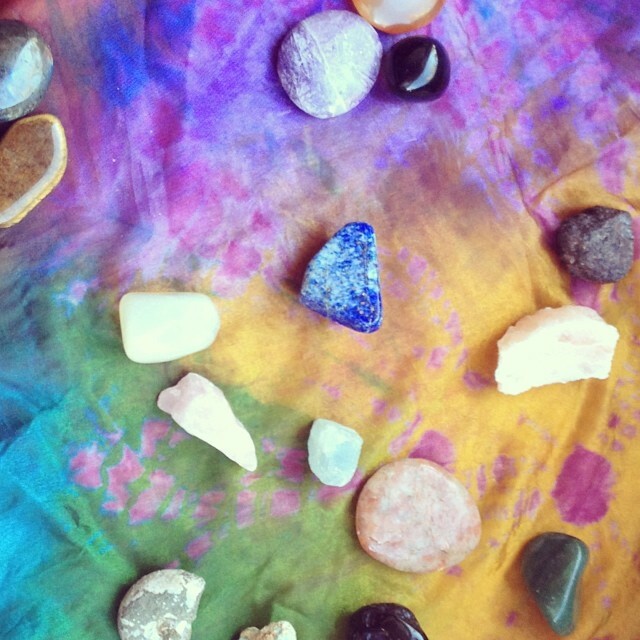 The rainbows within will show up in a good quality stone whether it is polished or not. The yougnest Tektites are around 100,000 years old! My Tektite is a shiny black piece that looks quite like a black obsidian covered in bumps and craters. I’ve seen other tektites that are much smaller and are brown. These come from China I believe and although I haven’t had a play with them, they may well be more preferable depending on your feeling. Tektite is particularly common and shouldn’t be too difficult to find. My Charoite is a polished flat piece which I purchased from the same wonderful little jewellery and stone shop in the Canberra CBD. (Mineshaft for those playing along at home!) From memory, it was quite expensive compared to other species of stones of similar size. But because I wanted to keep all of my Goddess Stones a similar size I went with it. It has lots of flecks almost as thought there are layers within the stone. This was very relevant to the Initiatrix and I’ve seen lots of different Charoite since, often placed in pendants and earrings that did not have the same depth. I don’t know for sure, but a lot of what I’ve seen looked so different to what I’ve got that I’d think it had been artificially coloured (this is just a guess and I don’t even know if they really can colour Charoite). Maybe do a bit of research before purchasing this one because I know that true Charoite comes from only one deposit in the whole world, in Siberia. The Sabbat of Mystery is at the end of Winter, where things are happening below the surface of the earth, even though we can not see it. We feel it. Our strength is growing. Other witches call this time Imbolc. The Carnelian is the reflection of The Sabbat of Mystery and some of it’s Medicine includes : individuality, memory, happiness, self-esteem, inner power…. My Carnelian is a really high grade piece from a bag I’d purchased at the crystal supplier when I had my shop. I always tried to find high grade and unique pieces, instead of the same-old like other stores… My piece is rather large and heavy, but has really nice colouring in it. 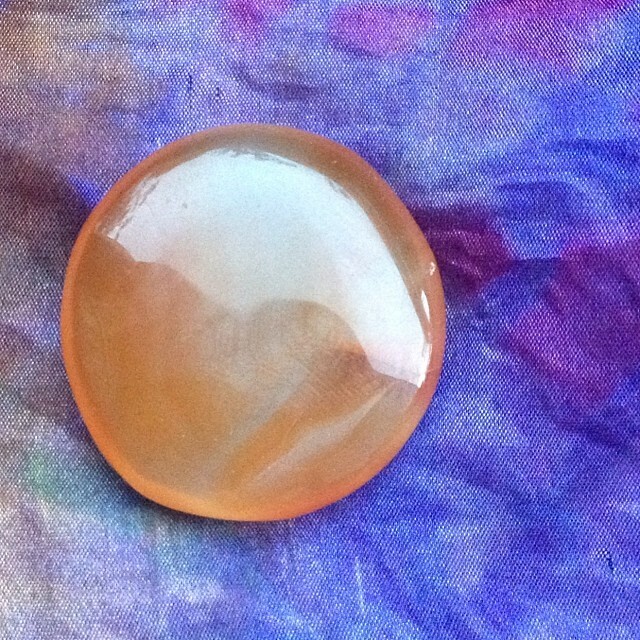 You will find lesser grade carnelian at any new agey shop and it is not particularly expensive. I absolutely love my piece of Garnet. It is an Australian piece that I bought from an old Australian fossicker who has probably passed from this life by now. He had a heap of stuff that was just sitting in his shed after a lifetime of travelling the world to find interesting stones. I bought a lot of it from him and sold it in my shop (and kept some great pieces for me 🙂 It is rough on the outside and round like a ball. But I know that inside if it were polished it would look like an epic jewel. Garnet can be quite expensive and is almost only ever found already set to jewellery, or cut to be set. Speak to your local lapidary club and find out what they can offer. 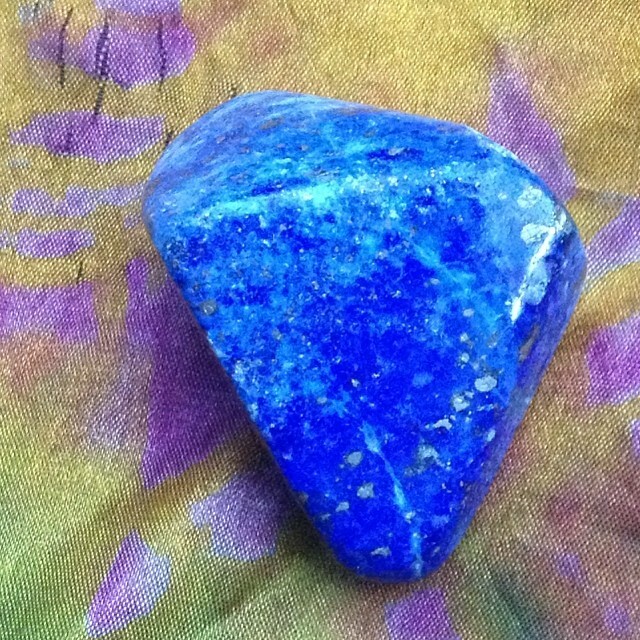 This is one of the most common stones to find in any new age store. But beware of the quality and choose your colour wisely. 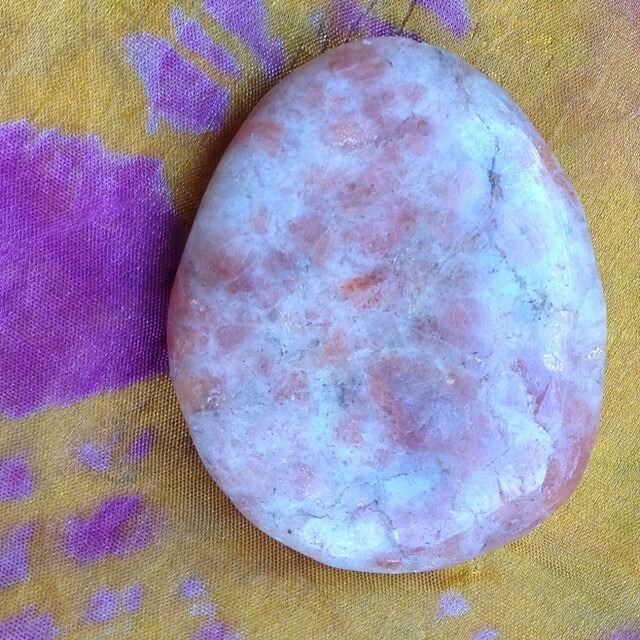 Many stores buy the low grade rose quartz which has a dull colour and sometimes even black flecks in it. It’s cheap and they try to flog it off for the same prize as the higher grades. My piece is unpolished and I think it was a piece my Mama or one of her Women friends gave me in my teens. The Sabbat of Depth is the Summer Solstice. 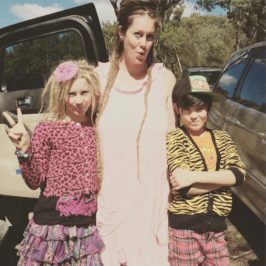 Because it is so hot at this time, we look to immerse ourselves in the sacred waters, just as the many stories of the Goddesses before us tell how they would take their annual sacred bath each year to renew and re-inspire their own essence, taking themselves deeper in Transformation and Inner Knowing. 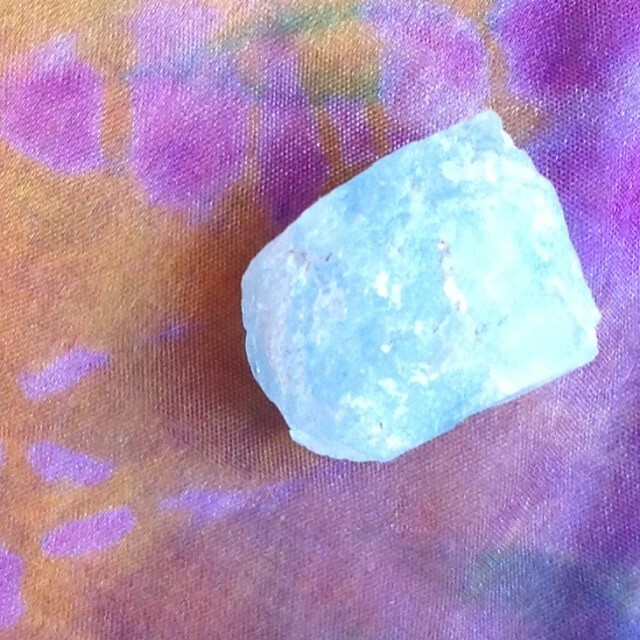 The Turquoise is the reflection of The Sabbat of Depth and some of it’s Medicine includes : drawing away negativity, emotional balance, creativity, psychic powers, communication…. I love Turquoise! It’s my birth stone and is the first ever stone I ever learned about as a tiny tacker spending my pocket money on a birthstone ring. 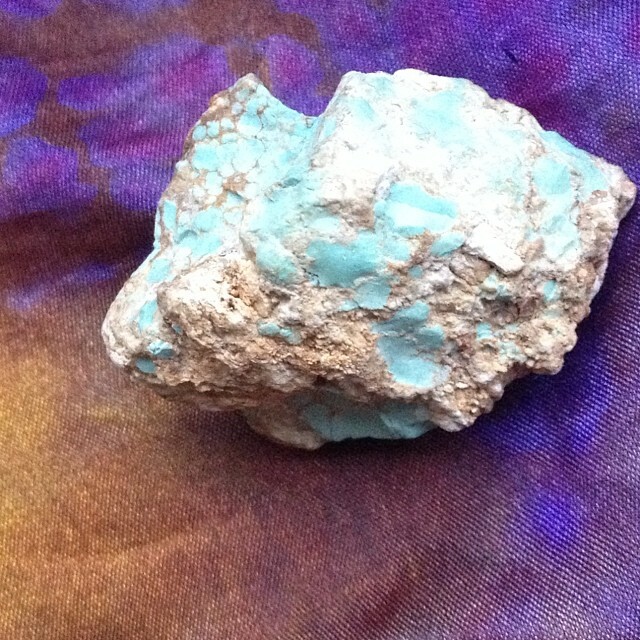 My Goddess Stone Turquoise is from Australia – I know right! Who knew? I got this piece from that same old fossicker who had such a cool collection. The Oz Turquoise is chalkier than the others you have probably seen out of Asia and America, and I have had other pieces break chips off if they’re not treated well.As you may have already noticed, Asian Turquoise is very different to the American version and the colours are (IMHO) much nicer our of America. But most of the American stuff has already been sold off or is used in expense jewellery so the Asian variety is what is usually found in new age stores. Pay attention to whether the Turquoise you get has not been artificially dyed because it will carry a different energy when dyed to it’s natural form – and sometimes that dyed stiff isn’t even Turquoise ; it’s Howlite which is a whole other thing. Turquoise should be easy to find un-tumbled and un-chipped. Did you know that Tiger’s Eye is a form of asbestos, and apparently if it is unpolished it is dangerous to have around you – because of the dust fragments that can get into your lungs and give you cancer! My Nana is part of a lapidary club (yeah you see this Stone bizo is in the blood!) and those old chookas there won’t touch the stuff to work on it. Do a google on Tiger’s Eye and asbestos if you want to know more about that. Anyway, my piece is a small polished piece form a bag I got from the crystal supplier when I had the shop. People love this stuff because of it’s amazing colour formations and shininess. You can see why it’s called Tiger’s Eye yeah? The Sabbat of Thanksgiving is the Autumnal Equinox where Kore, the younger and less knowledgeable version of Persephone must enter the Void to learn the Mysteries. It is a time to give thanks for all that we have known and acknowledge that more is to come. It is known as the second harvest, where we get fruits like apples and grapes – things that can be stored or brewed to last through the winter. Some Witches call this time Mabon, and the first Wiccans out in the English forests just called it the Autumnal Equinox. (I know creative right!) The Lapis Lazuli is a reflection of The Sabbat of Thanksgiving and some of it’s Medicine includes : truth, inner power, self confidence, manifestation, magick, relationships…. Okay, I know I keep saying this about so many of them but Lapis is one of my all time favourites. I can’t get enough of this stone! The brightness; the gold flecks; it’s depth of energy and connection to the Cosmic Self (see all of the little stars in it? ); it’s just rad. 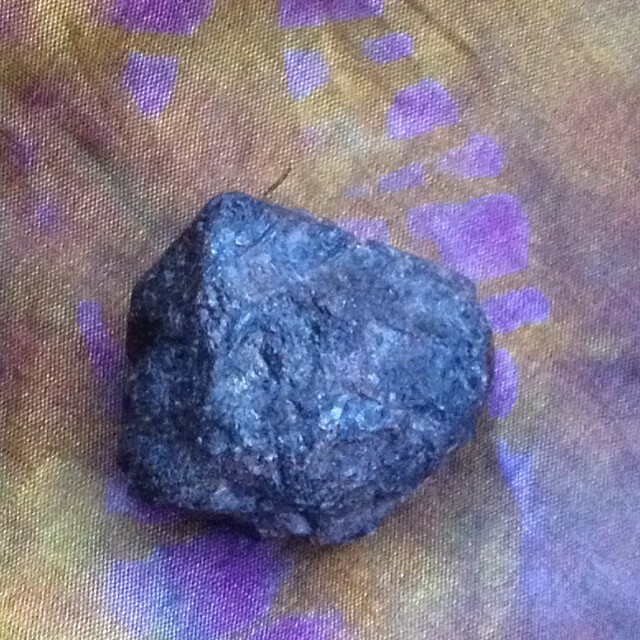 The piece I use for the Goddess Stones is a heavy polished geometric kind of stone which I’ve had forever. Truly, I think it was the first stone I ever collected when my Mama and all her friends were getting into this hippie bizo. And we are close, like bosom buddies that stone and I, so I’m pretty sure we’ve known each other before. Sometimes that happens. Oh how wonderful is this power-house for getting in deep and clearing out the last of what is not needed. It’s actually volcanic glass and has been formed under immense pressure. That’s so cool. I love it’s story. Did you know that the Priestesses of old used to polish up a big piece of Black Obsidian and use it like a mirror to scry (oracle) in. Imagine that! I want me a piece like that! 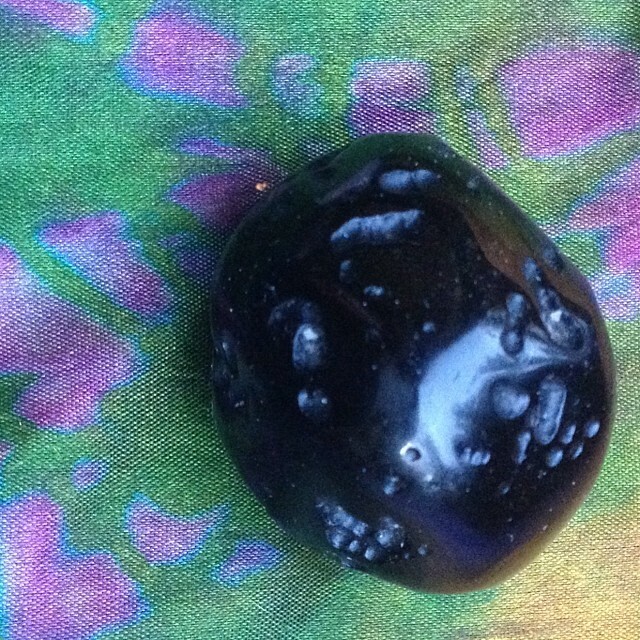 The Black Obsidian I use in the Goddess Stones is simply a little polished piece from a bag of stones bought from the Crystal Supplier. It has a tiny rainbow in it, which is a form of Black Obsidian where the colours have formed due to the minerals or something that were there when the glass set. You will sometimes find it in the new age shops as ‘Rainbow Obsidian’ and it can sometimes be expensive. 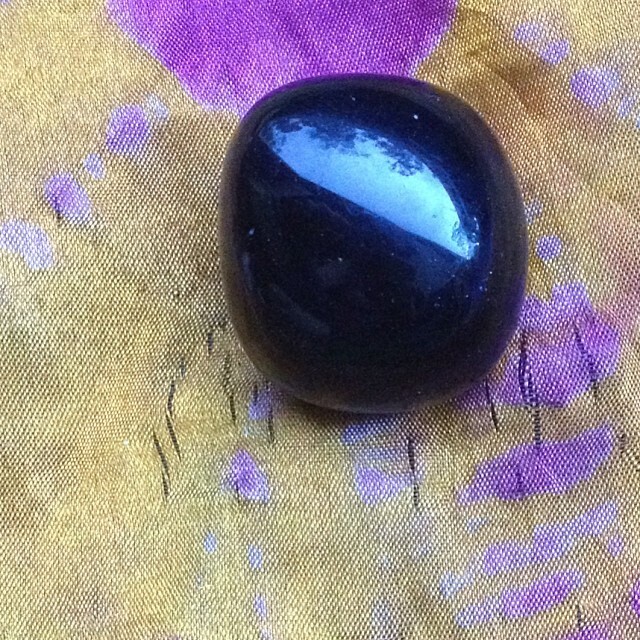 Really, the black colour is what is most important in this stone for its use in the Sabbat of Darkness so if you’re going to use them as Goddess Stones in this way, it’s probably better to find a high grade black piece than a cheap shiny rainbow chip. This is such a special little stone. Do you know, I can’t remember where this came from, but I think it was probably from a stone swap meet or something with the fossickers. 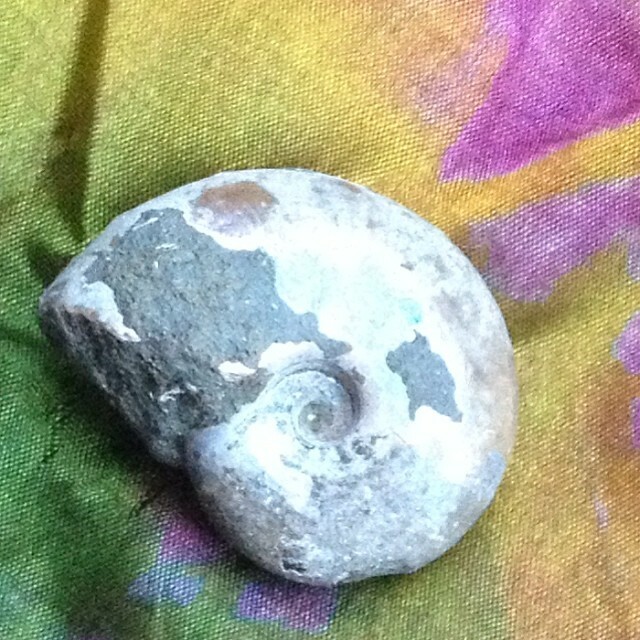 You can purchase Ammonite fossils from stores but they are usually cut open – which is cool because you can really see the spiral and sometimes there are tiny crystals formed inside. I love mine because it’s so little and has mother of pearl bits all over it. See what you can find! 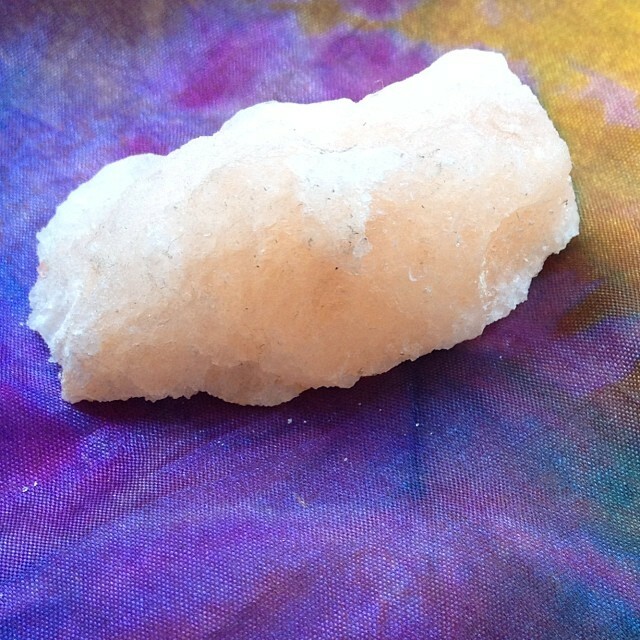 Himalayan Crystal Salt is representative of the Element of Air in the Goddess Stones. Air is about clarity, cleansing, purity and intuition, all of which is reflected in this ‘stone’. Himalayan Crystal Salt is from the naturally formed salt lines that have been created in the Himalayan Mountains. I have been buying my Himalayan Salt from the same company for eight years, because I know they only import salt that has been hand-mined by monks and all the profit goes to the temple. It is also guaranteed non-treated when it comes through customs. Like anything, the larger piece of something you have the more energy it will hold, so a chunk of Himalayan Crystal Salt comes with a more pure essence of the original energy than the tiny little grains you might find in the supermarket. 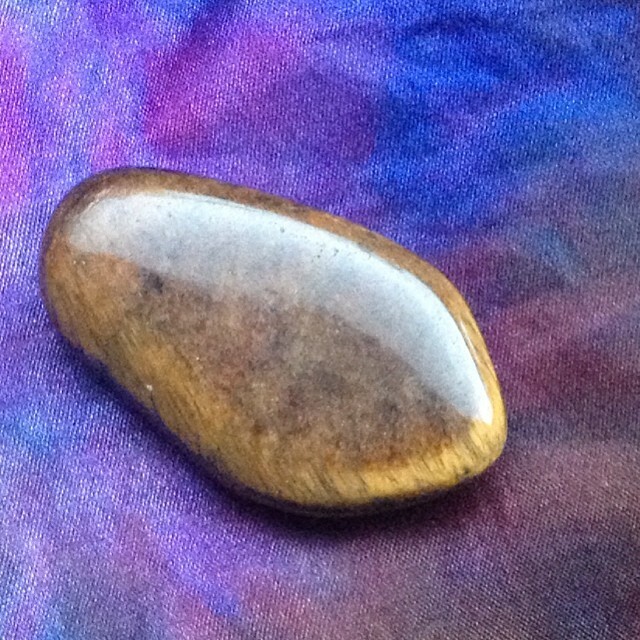 Sun Stone is representative of the Element of Fire in the Goddess Stones. Fire is about change and transformation, light and warmth, passion and courage, all of which is reflected by this stone. My personal piece of Sun Stone is an epic size compared to the rest of the stones I use. I knew I wanted a Sun Stone for this reflection and it was the only one I could find at the time from another New Age store back in the day. I’ve grown to love it’s layers and flecks though. And there are tiny orange rainbows inside that are pretty cool. Shop around and find one that makes you feel firey! Blue Topaz is representative of the Element of Water in the Goddess Stones. 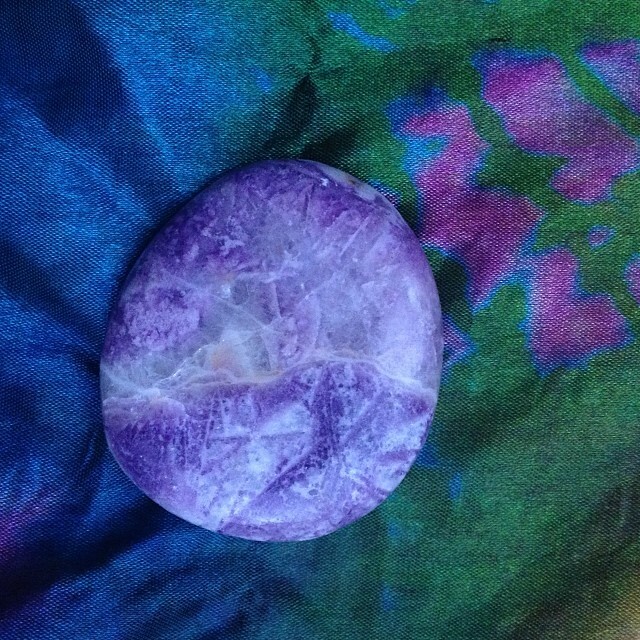 Water is about depth , compassion, feeling and unbound healing, all of which is reflected by this stone. I will admit that this might be a difficult one to find. I got really lucky with that fossicker dude for shiz! He had a little handful of uncut, unpolished chunks of blue topaz. I bought them for pocket change and was so glad I did when I realised that any other pieces you’re likely to find are already precut and ready to be set in jewellery. 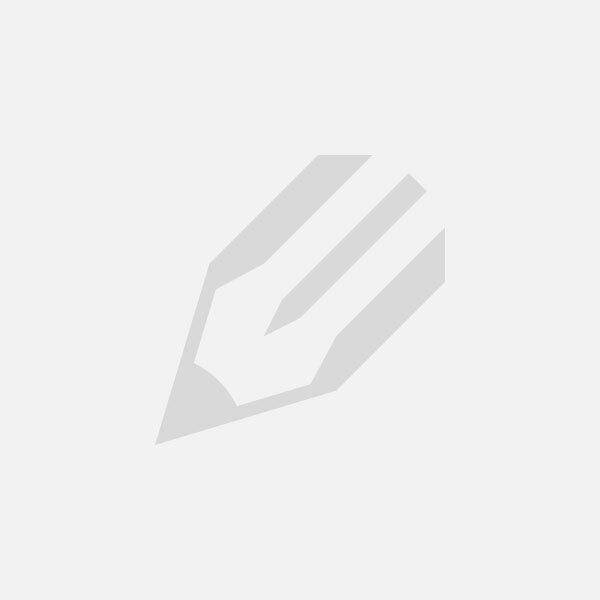 There are surely higher and lower grades though so shop around and see what you can find. 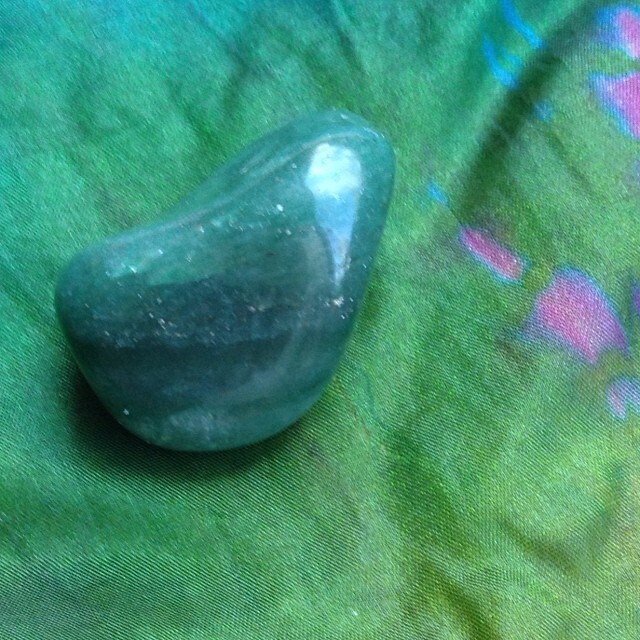 Green Aventurine is representative of the Element of Earth in the Goddess Stones. 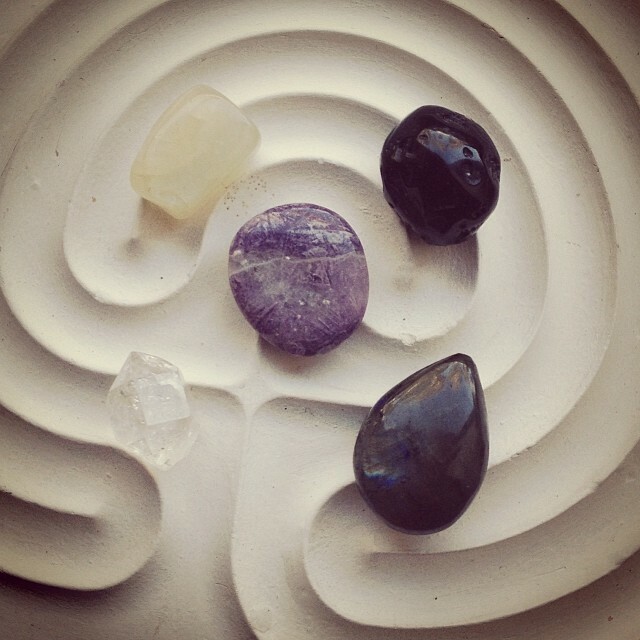 Earth is stable, abundant and nourishing, and it supports us to prosper – all of which is reflected by this stone. 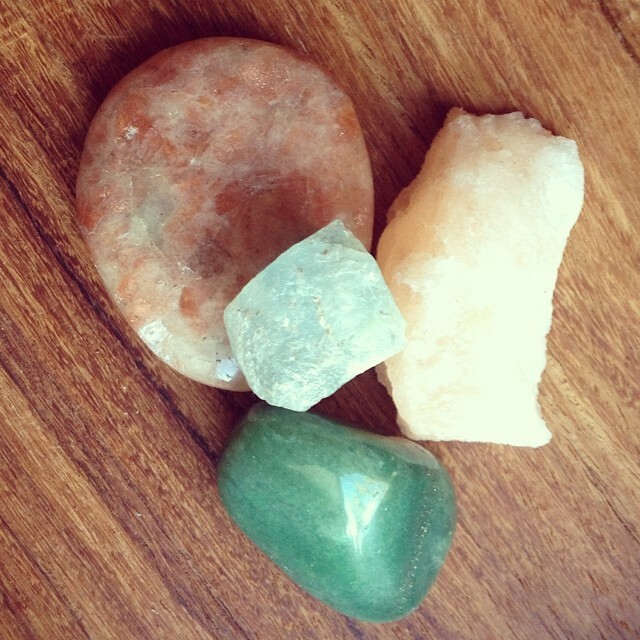 A good piece of Aventurine will have a sparkle in it. Yeah that’s right, a spattering of gold dots through it is what you really want in a piece of Green Aventurine, but I’ve noticed over the years that they are getting harder to find in the shops. Search for high grade Aventurine because this gold fleck is a big part of the energy necessary to draw upon for the Aventurine to reflect the energy of the Earth Element. Mine has this very faint gold spot through it and what I notice about these pieces in opposition to the lighter coloured ones in stores is that the energy feels more thorough. Like, it feels as though the nourishment is all there and really gifting forward the abundance. Hmm, maybe that’s just me though – check it out for yourself. Okay darling heart – that was an epic article, and if you’ve made it this far you’ve done awwweeesssooomme-ly! Now it’s your turn to start exploring your relationships with the things you do, the things you feel, and how you want to express them. Like I said before, some of my notes will work for you and some might not so you’ll need to find other options. That’s what this is about! Get to know what works for You. 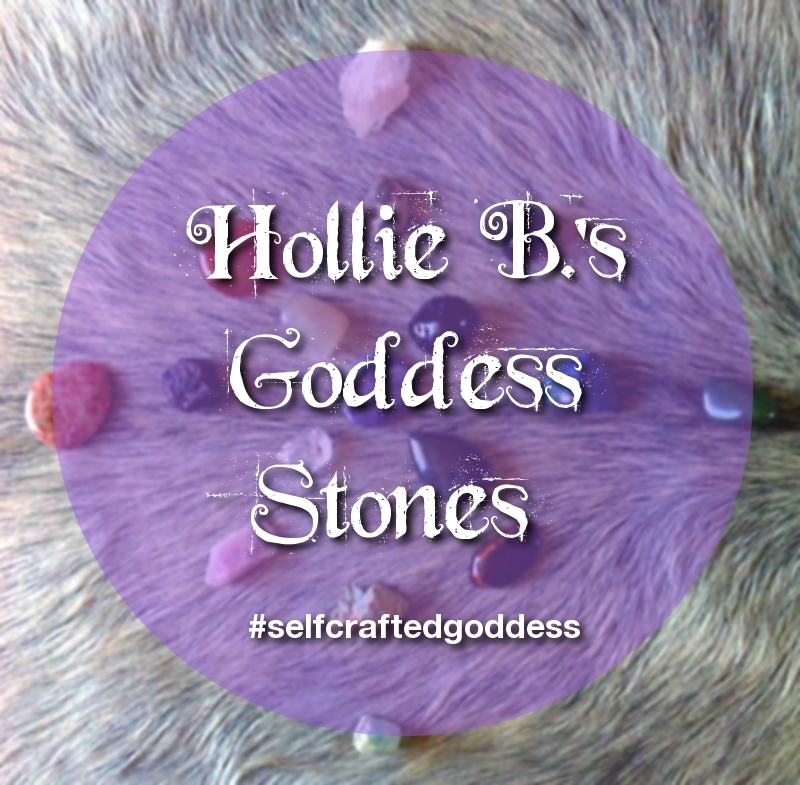 And when you start the work of collecting and oracling with your own set of Goddess Stones, be sure to put up some pics on Instagram or wherever you do that bizo with the #selfcraftedgoddess ! 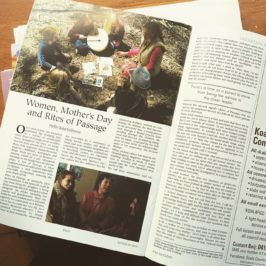 The article Hollie B.’s Goddess Stones for Oracling was published by Hollie B., for the Institute for Self Crafting. Feel free to share this article with your friends, by using the url : https://instituteforselfcrafting.com/goddess-stones/.